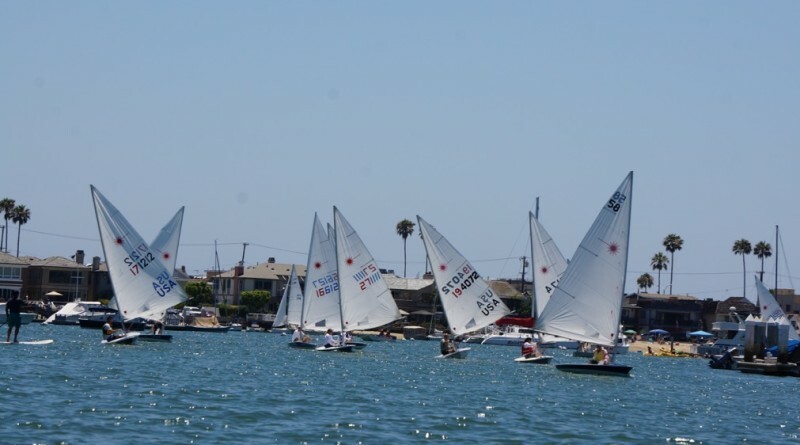 NEWPORT BEACH — The 81st Flight of the Lasers had a surprise guest join in the annual competition on July 17 when renowned sailor Gary Jobson joined the fleet. Jobson was in town Balboa Yacht Club’s Governors Cup Alumni Regatta and the premier of his Governors Cup movie. He borrowed a fellow sailor’s Laser and got on the water. It was Christian Rosene, Balboa Yacht Club, who stole the show, however, taking first place for the third time. Second place finisher, Geoff Becker of Annapolis, Maryland, is a past Flight of the Lasers winner and the youngest skipper to win the Governors Cup. Thirty-two boats participated in the annual regatta. Race Results: 1st: Rosene; 2nd: Becker; 3rd: Buddy Richley. Lido Isle YC; 4th: Porter Killian, Balboa YC; Michael Arrigo, Newport Harbor YC; 5th: Brian Cottrell, King Harbor YC. See the full race results at flightofthelasers.org.